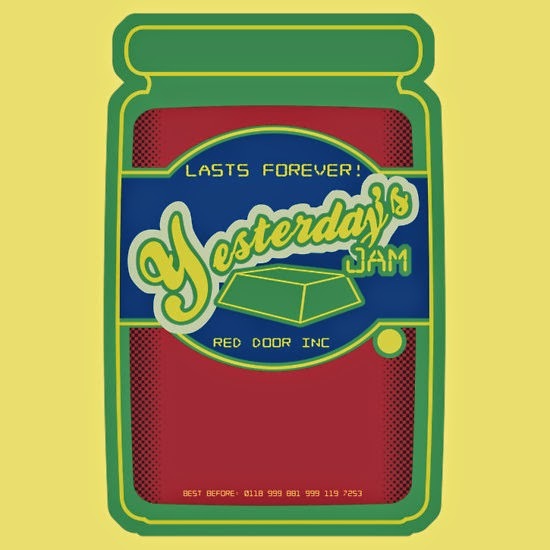 There are many references to the show packed into this little design: The 8-bit opening credit sequence is referenced in the lines, colours, and square 'half-tone dots'; the logo is 'The Internet', the 'Red door' of the jam (do you see the shape/colour of the jam and also the doorknob? ), and the company name; and lastly the best before date is the emergency number. I'm very happy with how this guy turned out! Head over to RedBubble to get a shirt or iPhone case.